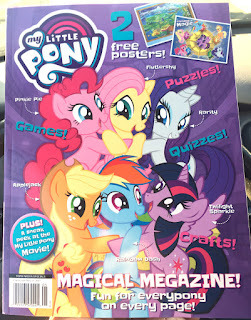 Last week someone on Facebook asked whether the US has any MLP Magazine. 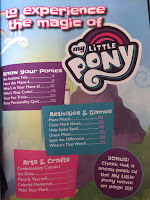 At that time I was not sure, but incidentally, as of this week a new My Little Pony magazine called "Magical Magazine" was lunched in the US. 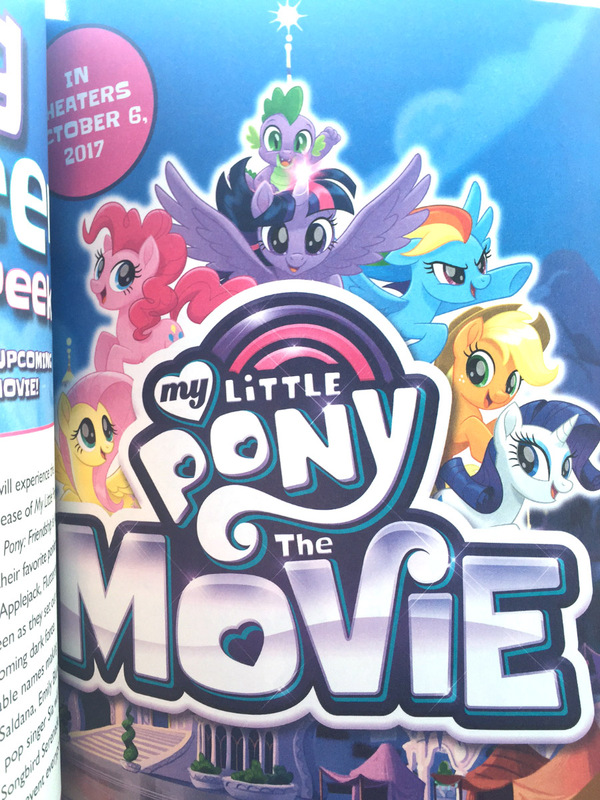 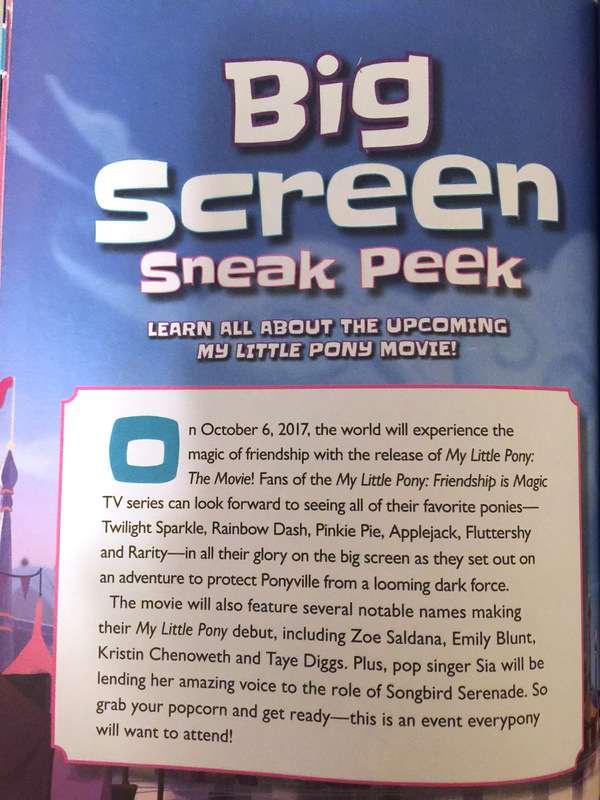 The overall MLP rebranding and upcoming movie seems to be the reason for this sudden magazine launch, so this line might only see a few releases. 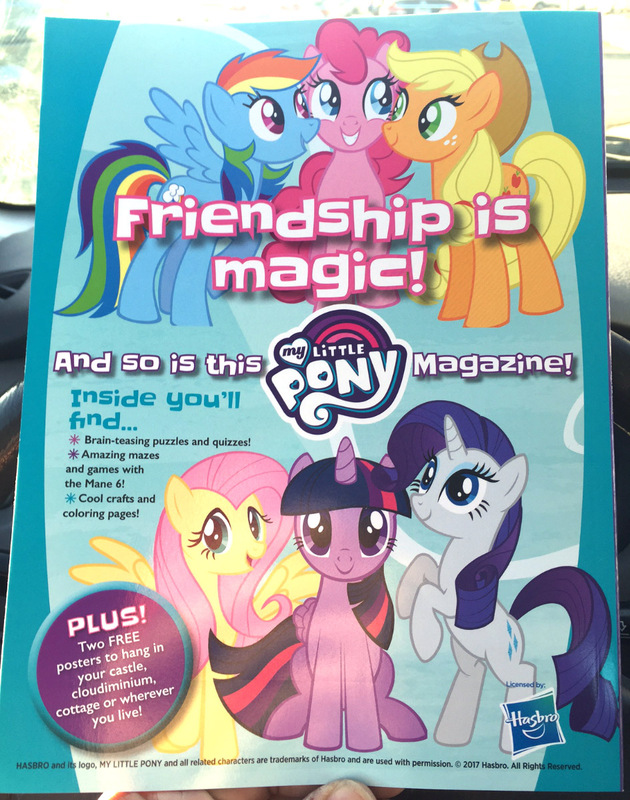 The magazine is released by Topix Media and can at least be found at Walmart. 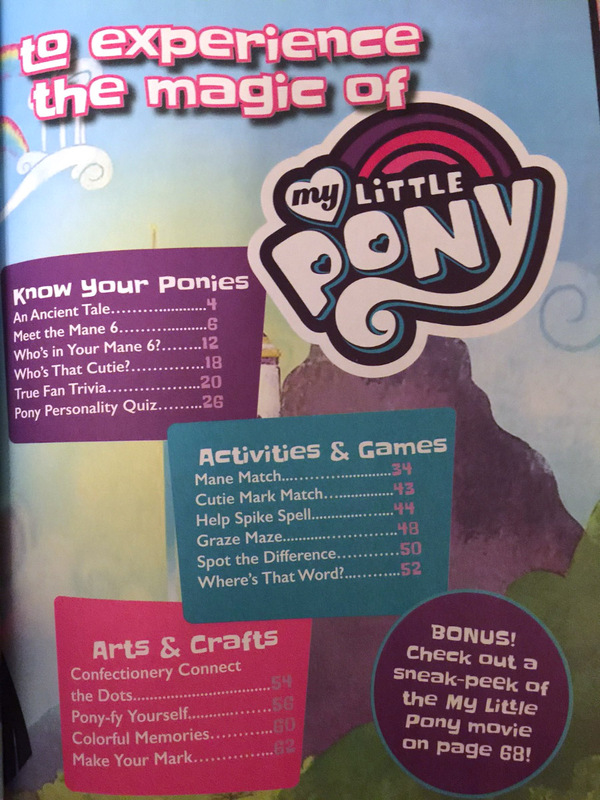 It contains everything you might expect from an MLP magazine: puzzles, trivia, games and quizzes. 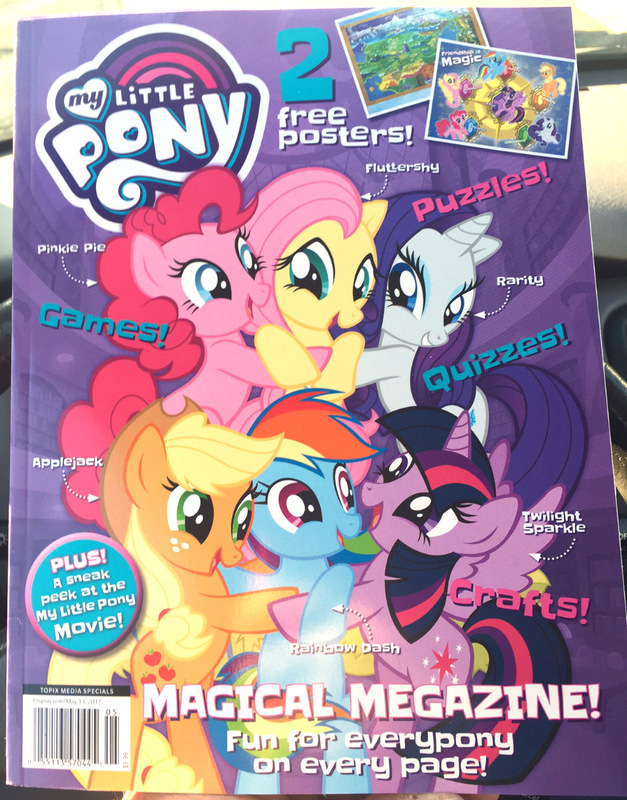 Though, reading the index is does not look like this magazine contains any stories or comics, something other magazines commonly do contain. 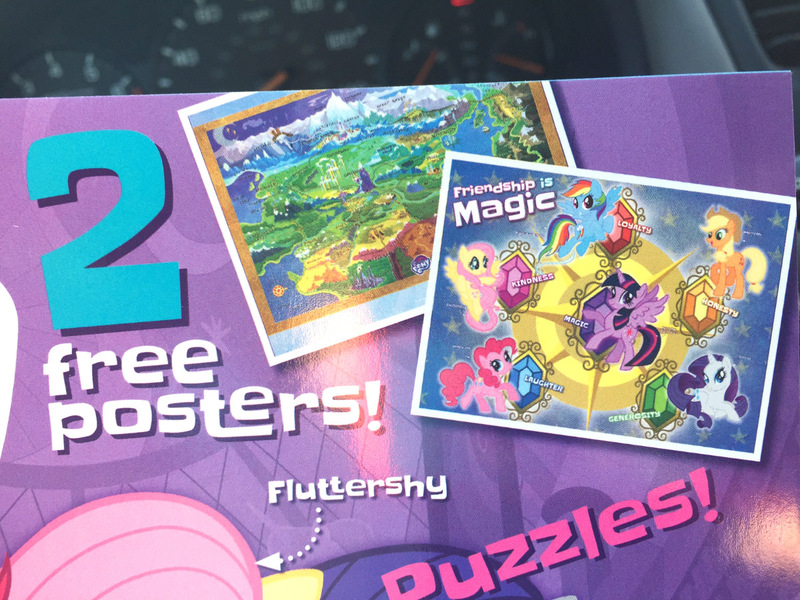 The "freebies" are two posters included with the magazine, so sadly no Magazine Figures for the US. 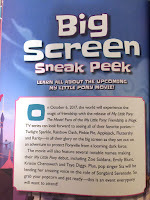 Below you can find some more photos from the magazine and the included My Little Pony The Movie announcement. 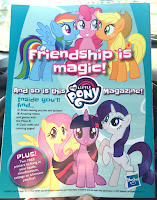 I found it at Price Chopper today!